HGTV is headed back to Idaho! The network just announced season two of Boise Boys will debut in April. Season two of Boise Boys premieres on HGTV on April 24th at 11 p.m. ET/PT. NEW YORK [March 20, 2019] Idaho’s capital city is booming and so is business for home renovation experts Clint Robertson and Luke Caldwell. 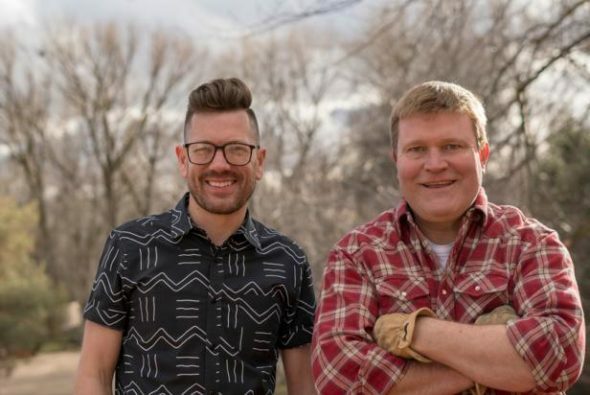 In season two of HGTV’s Boise Boys, premiering Wednesday, April 24, at 11 p.m. ET/PT, the best friends and business partners take renovation risks on properties with serious problems in Boise. Luke is an eclectic designer who pushes the envelope to create a contemporary aesthetic for each home. Clint is a licensed contractor who brings Luke’s vision to life without compromising the budget. As dads – Clint is father to three and Luke is dad to six – they also look to their kids to help on the job site and offer design input. What do you think? Have you seen Boise Boys? Will you watch the new season? More about: Boise Boys, Boise Boys: canceled or renewed?, HGTV TV shows: canceled or renewed? Love these guys! So real. I can’t wait to see their new shows, liked them so much watched the reruns too! Yes, I will watch. I really like this show. Their designs are innovative and interesting. Good family men. We love Boise Boys and can’t wait for season two!! Yes, I’ve seen Boise Boys and enjoy it very much. I’m glad to hear that they will be coming back to HGTV for another season on April 24th at llpm. I really enjoyed season one and wrote to HGTV to request renewal for season two. I was delighted when they wrote back to me months later stating that season two was in the works. I LOVE this show!! I am a HGTV addict, and Boise Boys is far my very favorite!! I just hope that they can keep it going! Best wishes for a successful 2nd season! !